Love the cake! It's one of the best Thomas's I've ever seen. It looks so good. 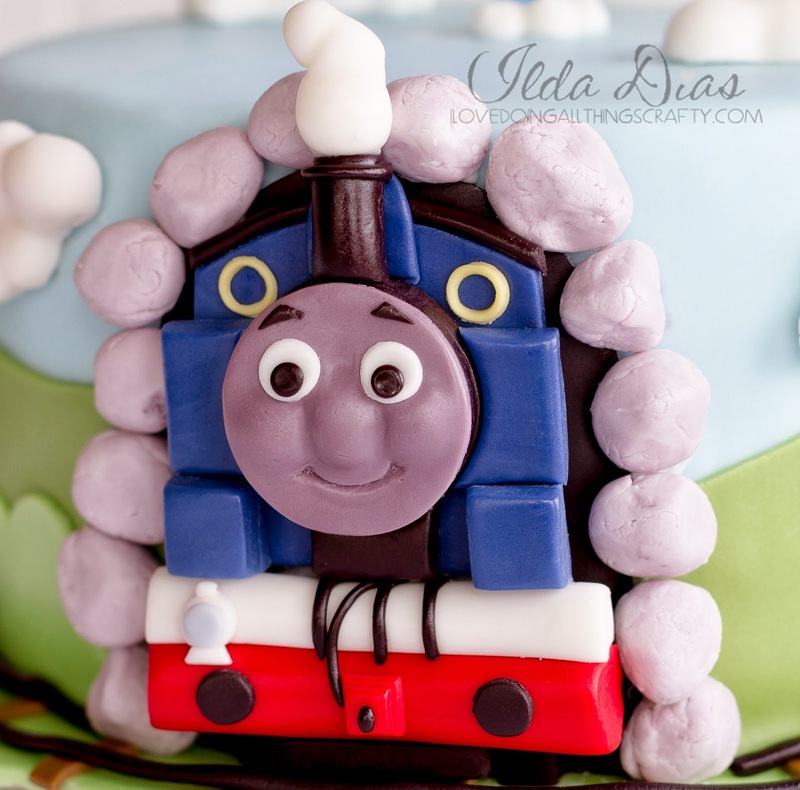 My 2 year-old daughter loves Thomas, and if I could make a cake like this, she'd be over the moon! This is so fabulous! I am always intrigued by your cakes. You are an amazing artist, not only with paper, but with frosting and fondant as well. Adorable! 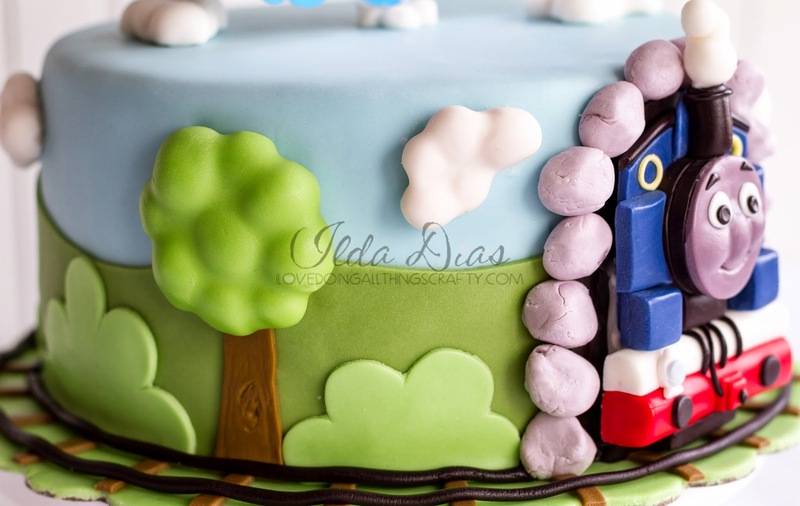 My kids are too old for this, but I love cute kid's cakes...pinning to my kids cakes board! Maia gave me the adorable St Patricks day gift, thank you so much! She's the one who also told me to check out your blog! So happy you liked the treat Lauren! Maia thinks you just the coolest teacher :) Thank - you! Wowzers, this is FABULOUS! How do you even cut into it? 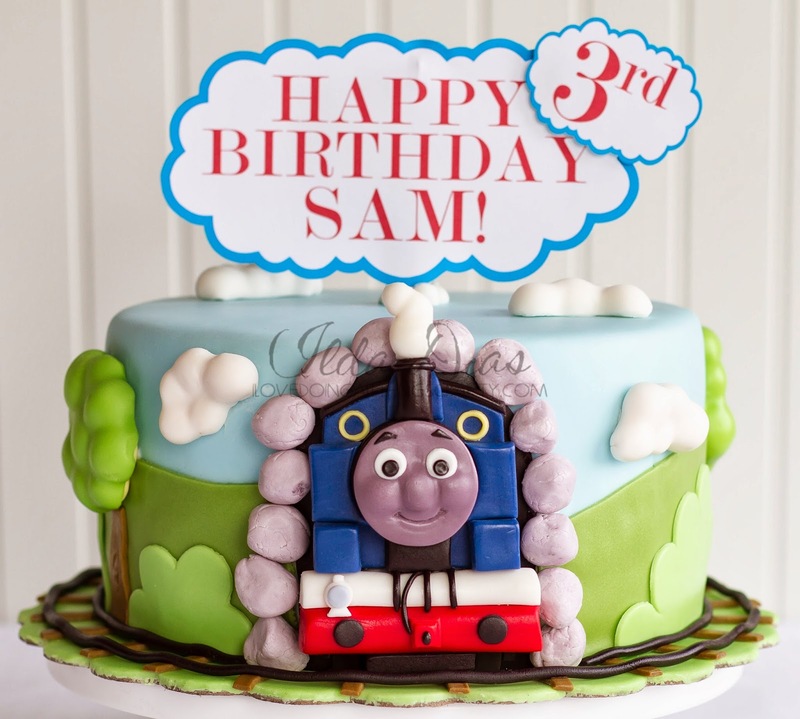 You did such a great job-the cutest Thomas the Train I've ever seen!